The Palestinian Foreign Ministry has reported that the Israeli government, headed by Benjamin Netanyahu, has yet again affirmed its hostility towards peace, and all real Palestinian and international efforts to resume direct peace talks, based on international legitimacy resolutions. The Ministry stated that Netanyahu and his government are openly rejecting any real peace agreement, based on the two-state solution, and all related United Nations and Security Council resolutions, including the Right of Return of the Palestinian refugees, and establishing a Palestinian State with east Jerusalem as its capital. It added that various Israeli media outlets have been talking, Monday, about major Israeli diplomatic moves, and pressures, aimed at foiling the international diplomacy of President Mahmoud Abbas, to protect the two-state solution. Furthermore, the Ministry said that Israel is acting on all levels, in coordination with the United States, which blindly supports Tel Aviv’s illegal policies and serious violations, in an attempt to void the internationally guaranteed Palestinian rights of liberation, independence, and the full Israeli withdrawal from all of the occupied territories, including the occupied capital, East Jerusalem. The Ministry also said that the time has come for the international community, and all United Nations organizations, to protect and defend what it left of their legitimacy, and act on ending the suffering of the Palestinian people, living under ongoing Israeli occupation, oppression, and the theft of lands for the construction and expansion of illegal colonies. 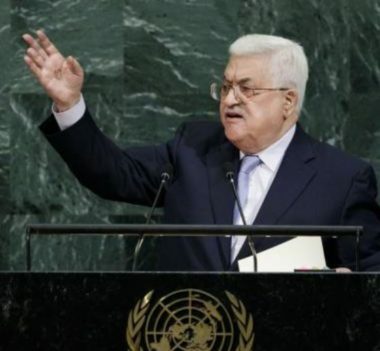 It stated that the international community must act fast, and secure the implementation of all related resolutions, in addition to support the “diplomatic initiative presented by President Abbas regarding serious direct peace talks,” and to counter the illegal American-Israeli policies against the Palestinian people and their basic human rights. The Ministry called on the International Community, the Quartet Committee, and every country that seeks real peace and justice, to act and support the message of peace, before it is too late.